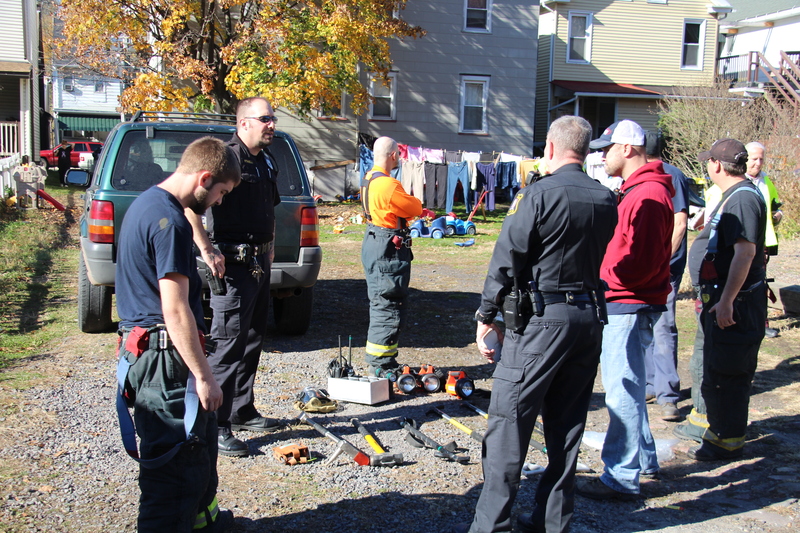 Pictured are Tamaqua police and firefighters looking over some of the equipment recovered after being stolen from a fire truck on scene of a fire this morning. 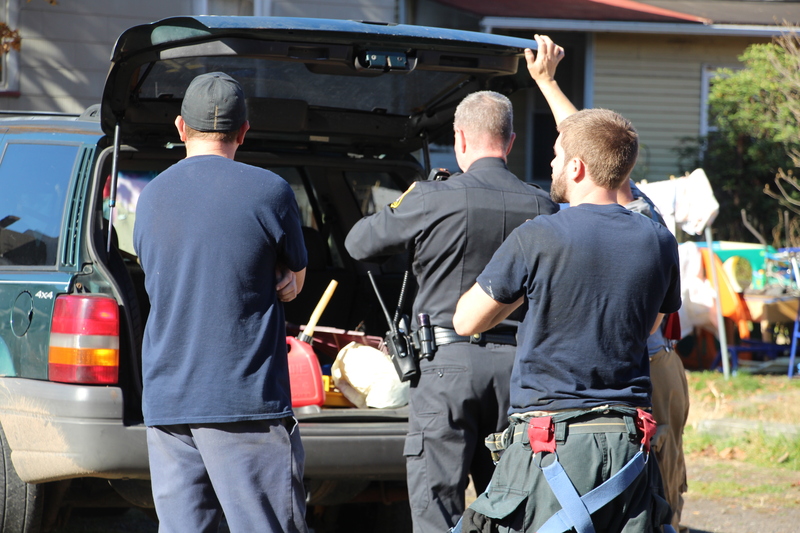 It is not known if all items were recovered. 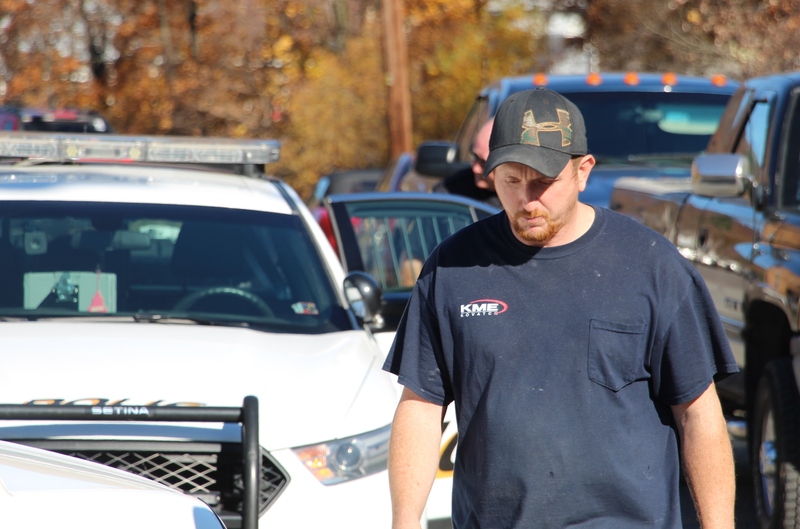 UPDATE 2: John Hindermeyer, 37, of 225 Pine Street, was charged with conspiracy to commit theft and corruption of a minor in connection with the theft. 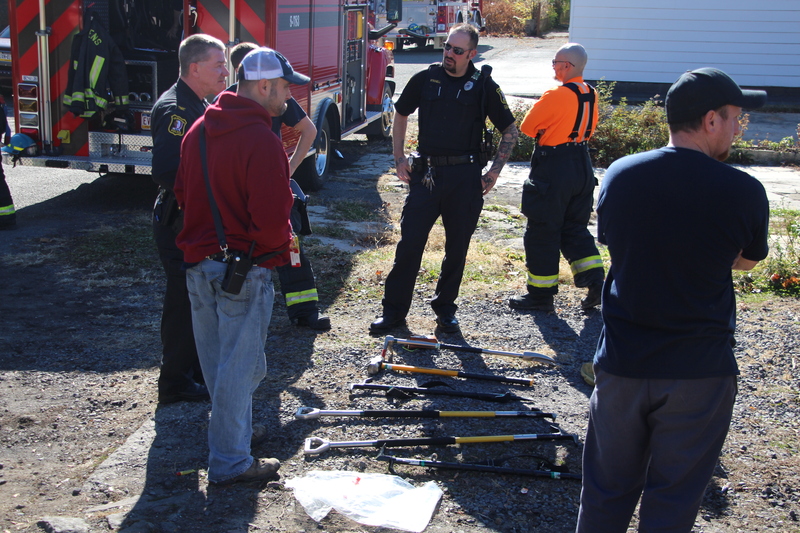 See full details by reading the Times News story: http://www.tnonline.com/2015/nov/11/2nd-man-charged-firefighting-tools-theft. 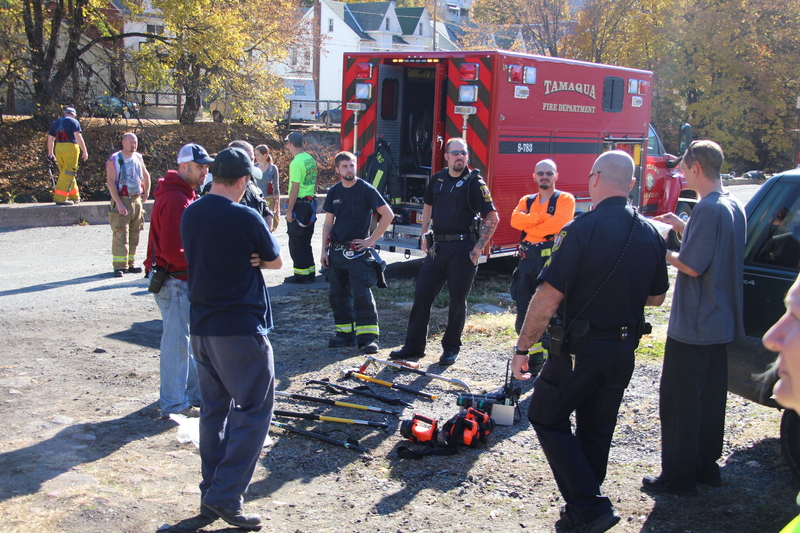 A 16-year-older male was taken into custody, and another being questioned, after possibly working together to steal over $13,000 worth of firefighting equipment from firefighters battling a suspicious house fire today at a duplex property in Tamaqua. 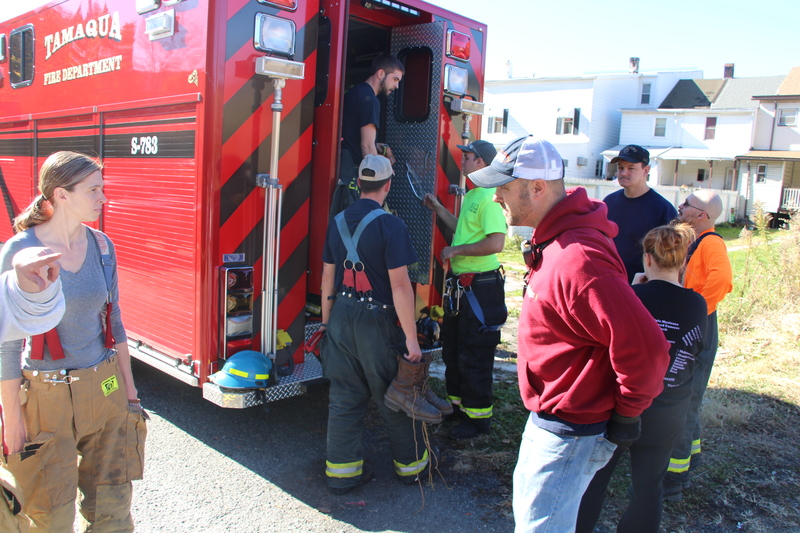 Items taken included new digital radios, radio charging banks, flashlights, hand tools, breathing apparatus and more, according to firefighters. 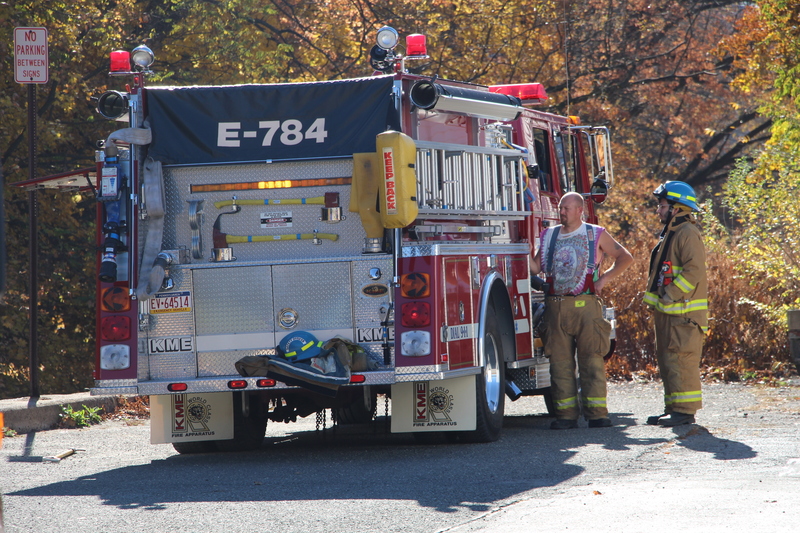 UPDATE: The duplex fire was ruled arson by Pennsylvania State Police Fire Marshal Trooper John Burns. 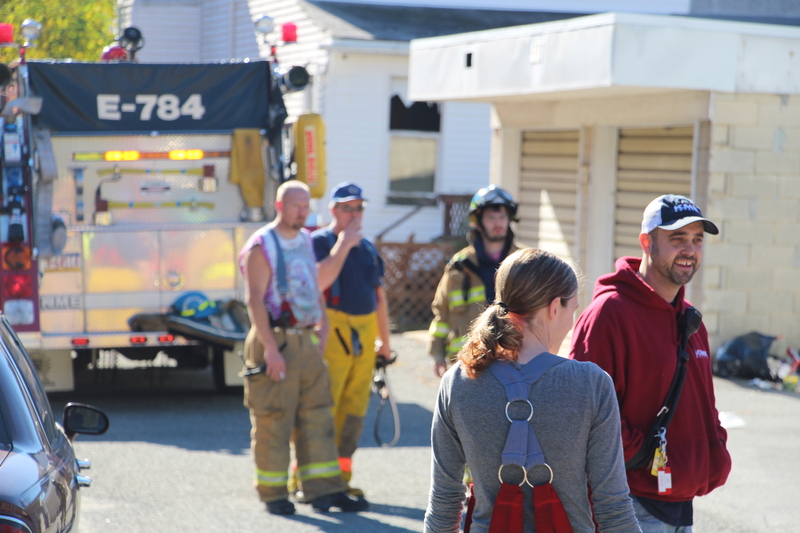 The fire was set on the second floor of 208 Biddle Street, a vacant/condemned property. The other half of the duplex (206 Biddle Street) was not vacant and lived in my a boy and his disabled mother. 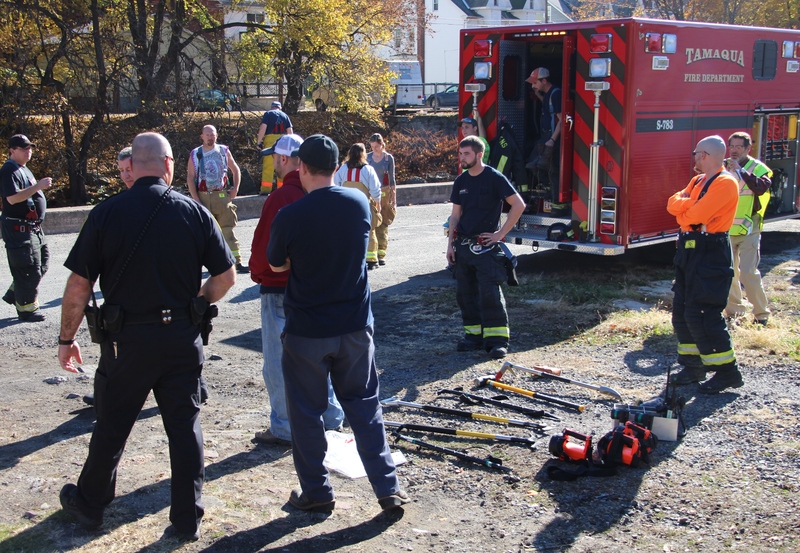 The theft of equipment occurred behind 225 / 227 Pine Street in Tamaqua after firefighters with Citizens Fire Company and South Ward Fire Company parked their fire trucks on Water Street to help reach the rear of a house fire on the 200 block of Biddle Street. 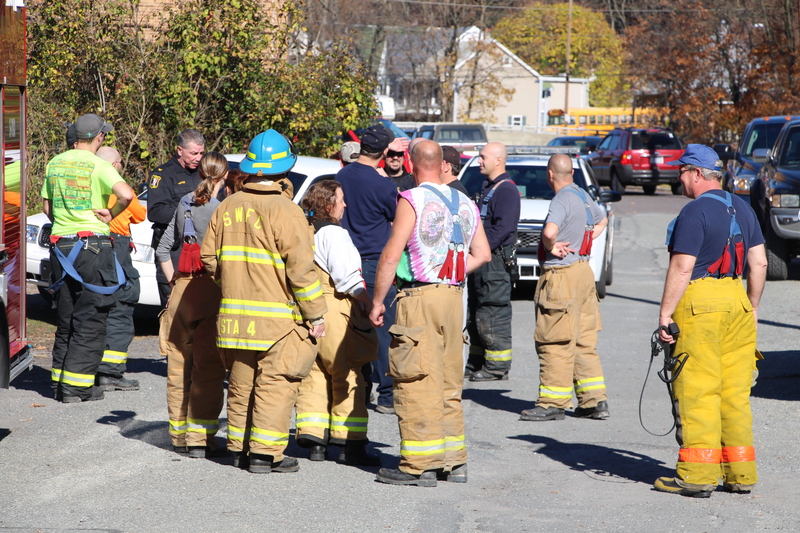 While firefighters were battling the fire, one or two people stole equipment from the Citizen’s Fire Company truck. 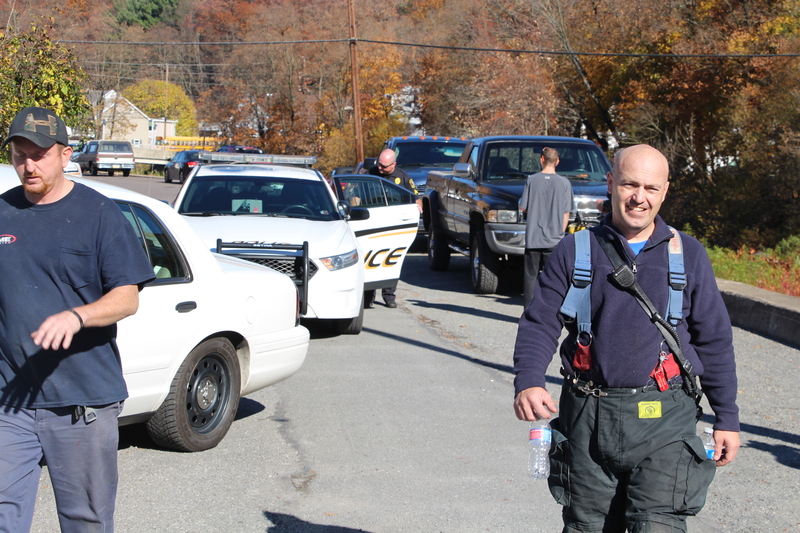 The most expensive equipment included two digital radios, which cost $6,000 each. 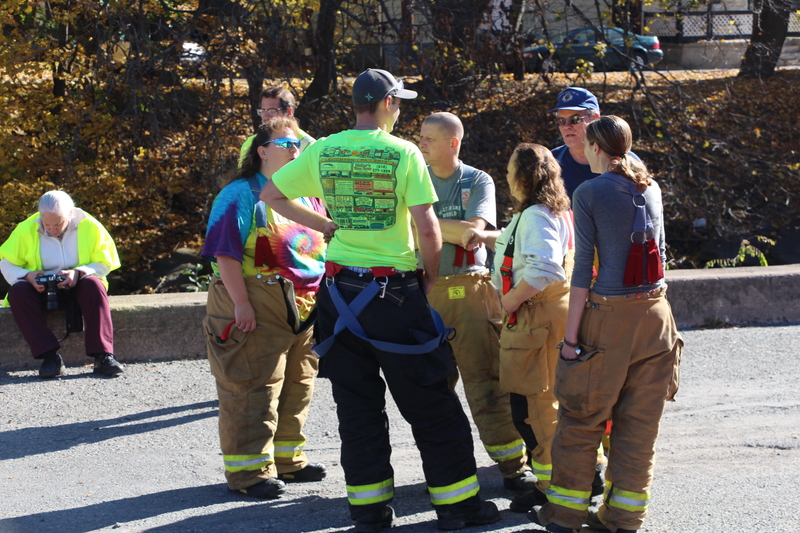 Since most of the firefighters were on scene of the fire, no one was able to see the theft until the final moments. 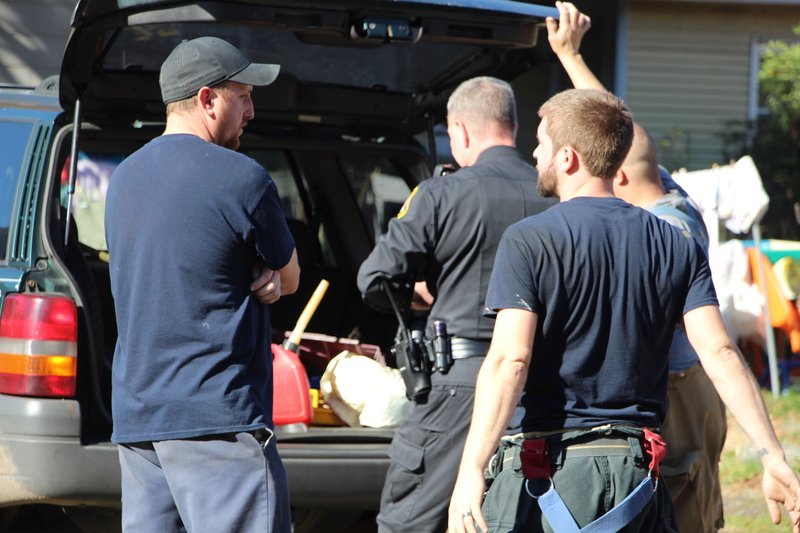 A firefighter said the thief must have went back and forth numerous times. 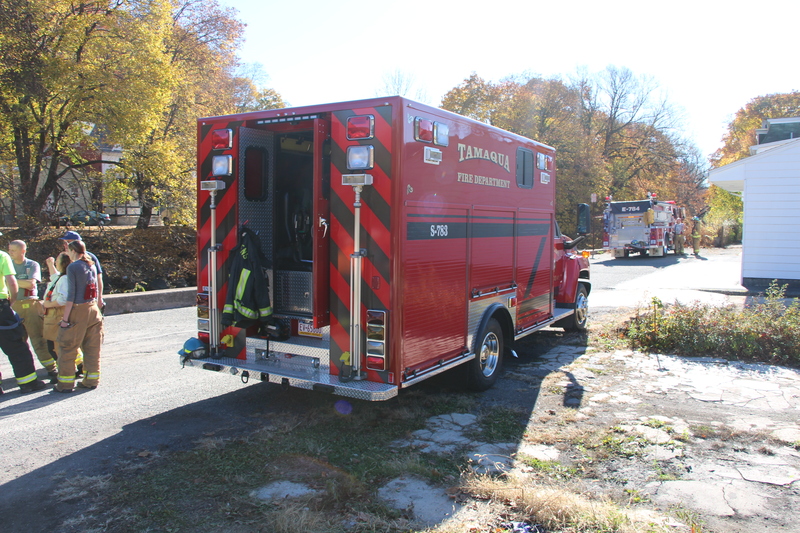 The firefighter added that the thief placed multiple items inside the back of a green Jeep parked within a short distance of the fire truck. 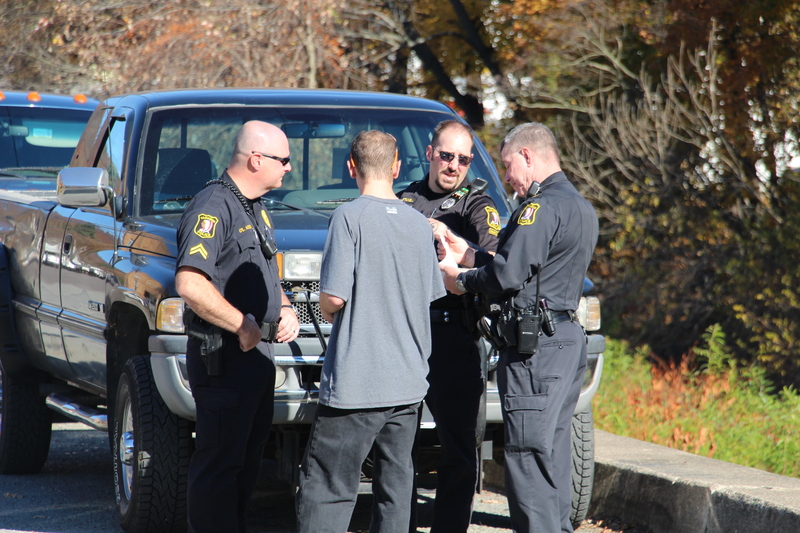 The parked Jeep was located in the backyard of 225/227 Pine Street (SR309). 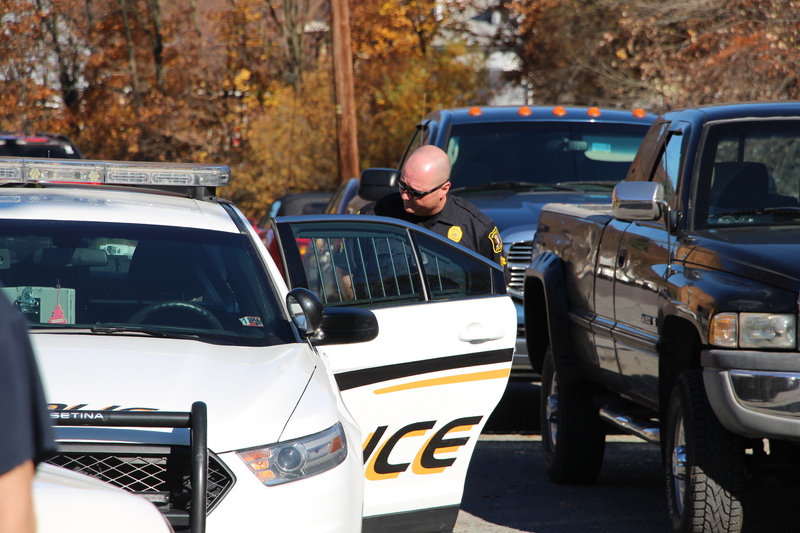 Volunteer firefighter Lieutenant Tim Phillips holds his head down while Tamaqua Police Corporal Henry Woods talks to a suspect in the back of a police vehicle. 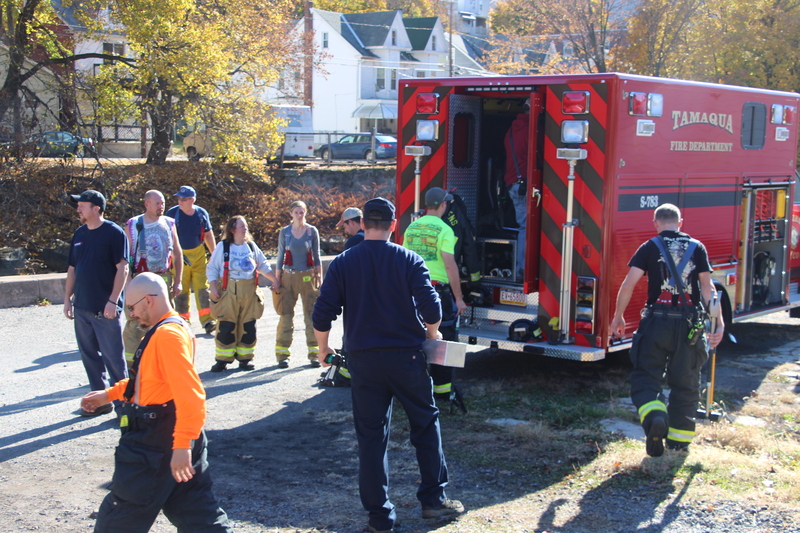 Firefighters on scene said that one of the two young men might have been a lookout while the other stole the items, adding that one ran when approached. 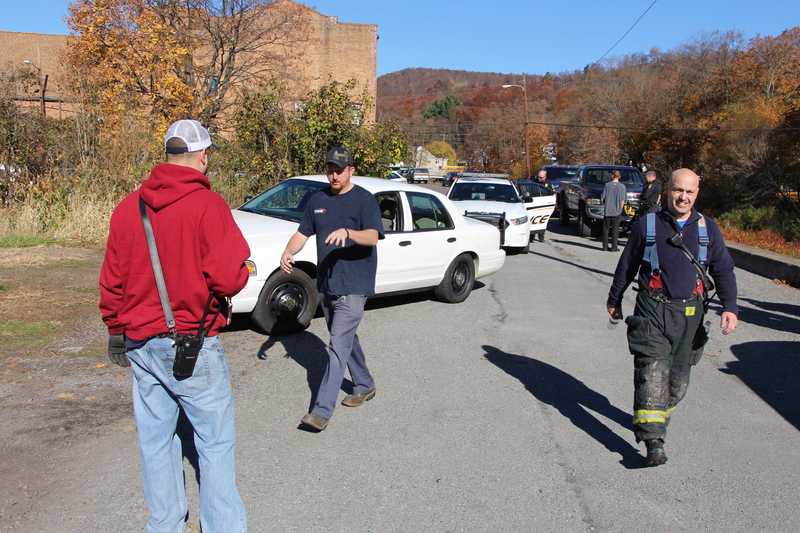 With help from witnesses, Tamaqua police were able to apprehend and identify one of the suspects hiding inside a nearby apartment building. 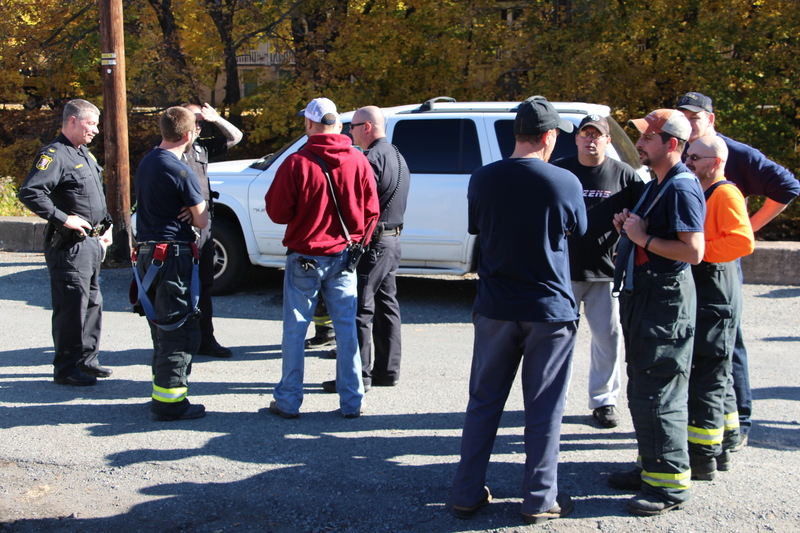 Firefighters stated they estimate that a minimum of $13,000 worth of equipment was taken. 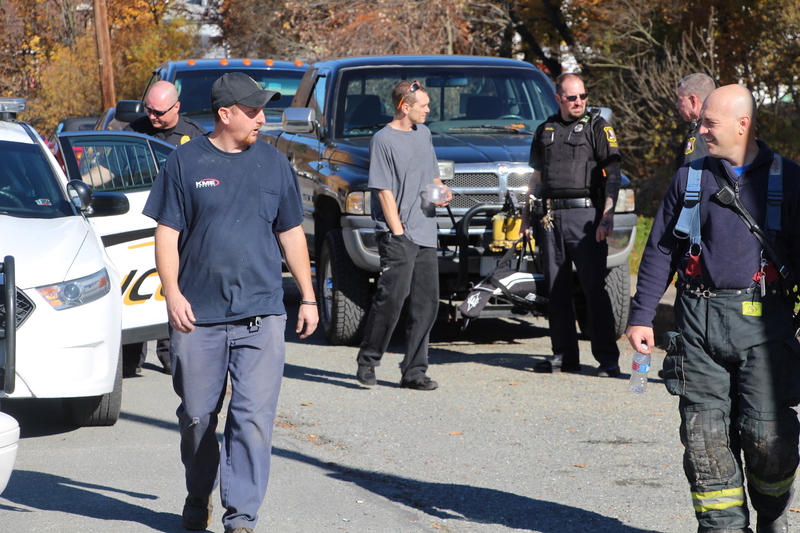 It is unknown if all items were recovered. 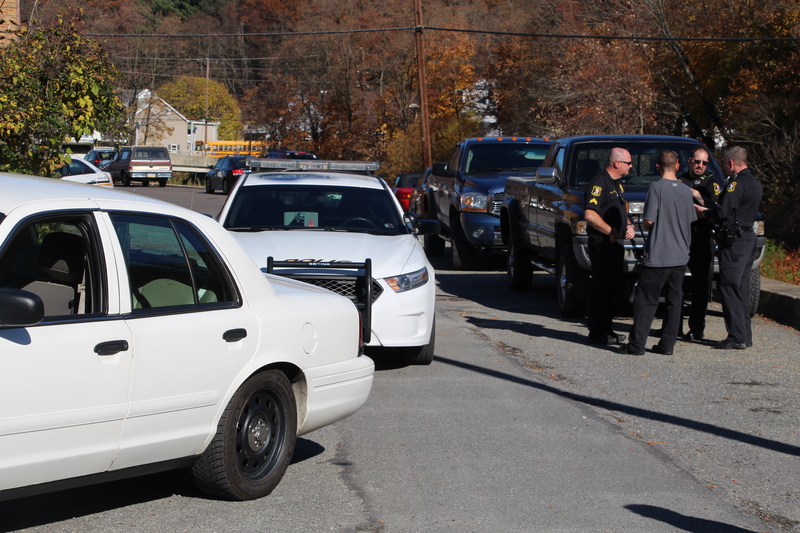 Tamaqua Police are investigating. Due to their ages, the suspect(s) names can’t be given. The information above is via witnesses and neighbors. Nothing is official until a press release or police report is given. 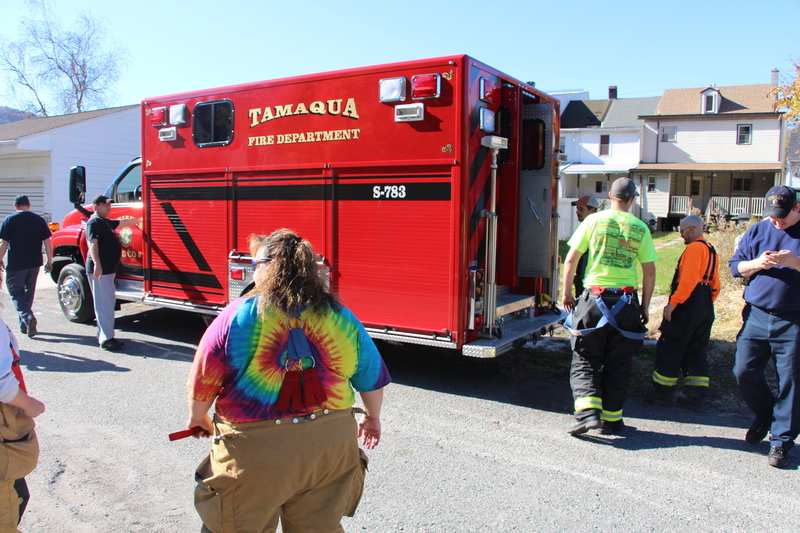 Anyone with information about the arson or theft is encouraged to call Tamaqua Police at 570-668-5000. 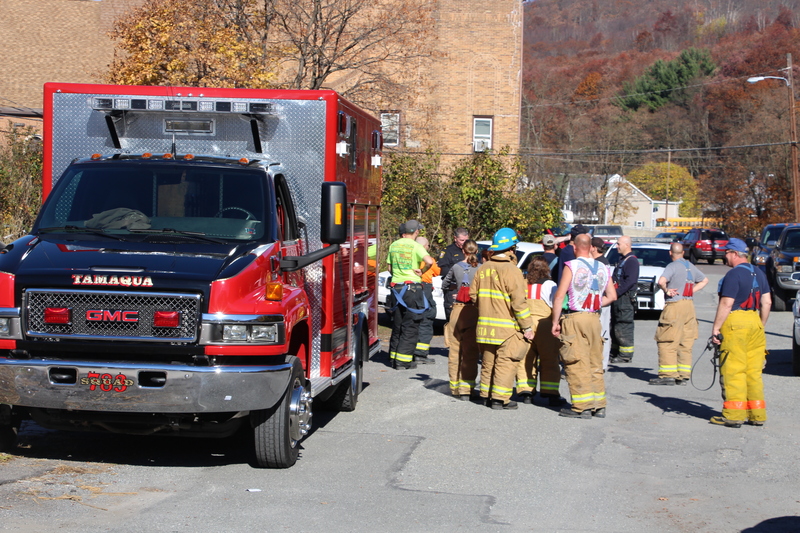 (Click HERE to view the story on the WNEP TV website.) Credited TamaquaArea.com. Underage or not, those responsible need to pay for their actions, they are lucky that no one was injured or died do to their actions. I suggest 1300 hours of community service which includes cleaning of fire stations and fire engines/trucks under very strict supervision. 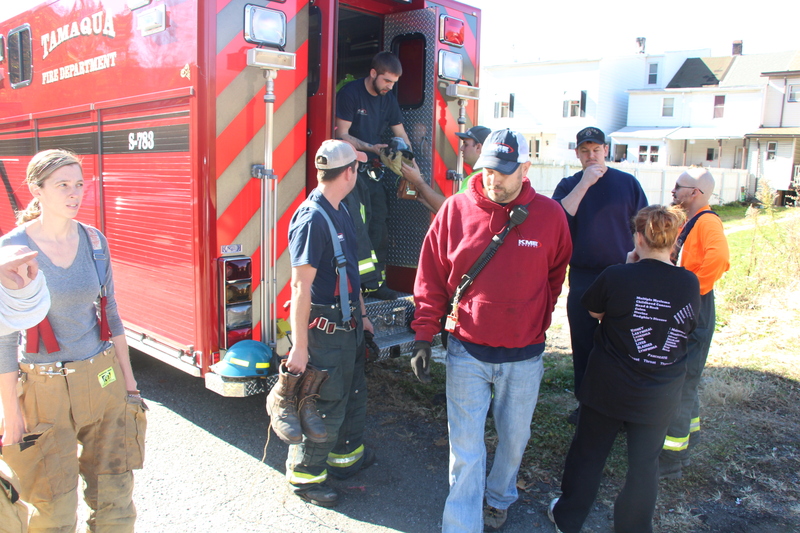 As a member of a volunteer fire department the equipment that is carried on engines/trucks is there for a reason if not to save a life but to save property. I also believe that their names should be made public. What the article doesn’t sat is that only half the house is vacant. 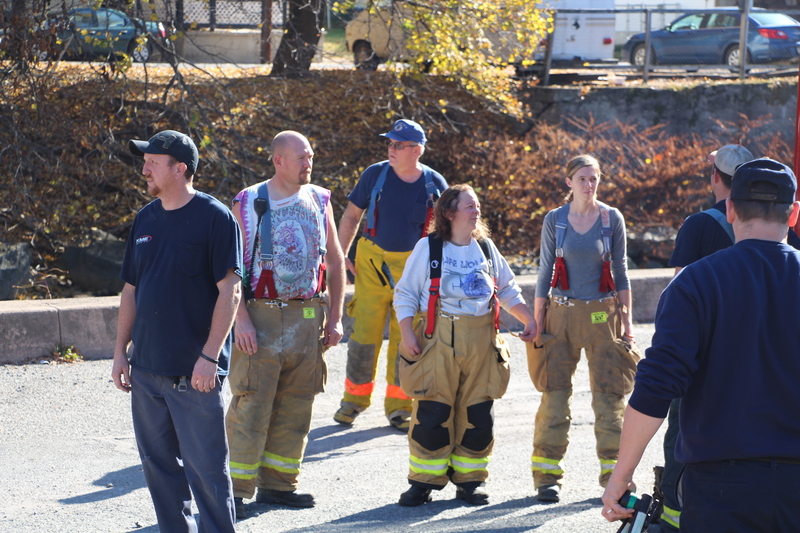 They started a fire in a building next to the sweetest little boy and his disabled mother. They also could have killed or left a little boy and his mother homeless because the house is a duplex that was half occupied. I agree, since they want to do the crime, let it be known they did it. They know it was wrong. I personally think, if there was a chance of Public Disgrace, less kids would chance screwing up. I also think you’re a little lenient on the community service, make it an even 2000 hours and Have mom or Dad be one of the supervisors, If you start screwing with mom or dad’s time and job, and paycheck I think kids would be a lot less likely to screw up cause there will be no end to hearing about it, Do the crime, Pay with your Time.